Length: 2 hrs. 44 min. 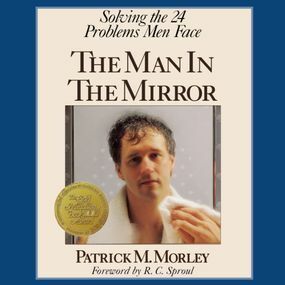 This Gold Medallion Award-winning book--with over one million copies in print--is now available in audio form.When it was released more than 10 years ago, The Man in the Mirror became an instant classic, a book that dug deeply into the hidden problems faced by most men. Now men whose schedules are already crowded with the urgent can listen to honest and biblically sound insight on 24 common issues such as: the search for authentic faith and meaning in life, how to avoid regrets with your children, how to be happily married, solving time management problems, dealing effectively with pride, fear, and anger, and doing away with a secret thought life.